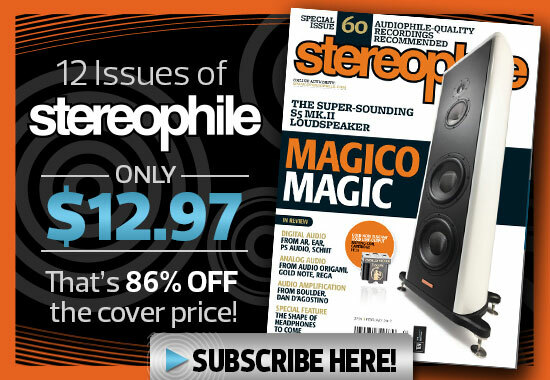 The lead-off article in every issue of Stereophile takes one audio-related thought and runs with it. Veteran audio reviewer Dudley listens to components and recordings that are off the beaten track. Record producer Marks offers his thoughts on system building and synergy, audio politics, and recordings of special merit. Michael Lavorgna is the editor of our web site focusing on computer audio, AudioStreams.com. There's more to getting the best multichannel music experience than playing an SACD or DVD-A on a home-theater system. Rubinson explains how. 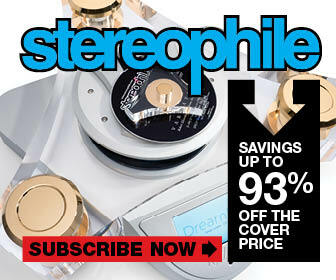 Stereophile's editors offer their observations and commentary on all things audiophile. Jana will be reporting on all things audio from the viewpoint of a millennial woman. Jason primarily covers classical music. As Stereophile's "Jazz Messenger", Fred Kaplan tracks jazz albums, artists, concerts, and trends. The life of a music editor means there's always another new record calling. Stereophile's Robert Baird ruminates on all things musical or otherwise. Columns and Blogs from past editors and contributors. Gone but certainly not forgotten! Himself a neophyte just a few short years ago, Mejias offers insights and ideas to budding audiophiles. Renowned obsessive audiophile Scull offers audiophiles advice on how to get the best sound from their systems, often without having to spend much money. Join Stephen each day as he posts his random thoughts about audiophilia. Ariel is an audiophile, and he ain't afraid to admit it. Come join the fun. Wes shares the stuff he's been sending to his audio pals.